When Elvis Presley was still driving a truck, Wayne almost ten years his junior had already sung before a president, toured with a Grand Ole Opry road show and released his first record. While the Beatles were still scrambling for their early Liverpool gigs, Wayne, who was two years younger than John Lennon, was playing Las Vegas and appearing on the Jackie Gleason and Lucille Ball television shows. In a business that is, at best, volatile, and success sometimes short-lived, Wayne has performed live, at last count, to more than 30 million people and on television and record to many times that number. He has epitomized the talent, glamour and energy that is Las Vegas-the entertainment capital of the world-for so long that he is called “Mr. Las Vegas.” And these days, having established himself both on television and in movies as a fine actor, he’s getting more attention than ever. He does it with the incredible talent and showmanship he was born with and the approach he developed as a child entertainer in Virginia. He simply works harder and digs deeper than anyone out there, sizing up audiences as he goes, tailoring shows to fit their moods, until he’s given them their money’s worth. The songs change and the show gets re-worked, but Wayne’s basic approach is the same as it has been since the beginning, and it’s something that goes to the core of who he is. Do you want to hire Wayne Newton? Directly request a quote. In 48 hours we can send you the availability of Wayne Newton If you would like to book Wayne Newton, Entertainment Booking Agency is the right place. 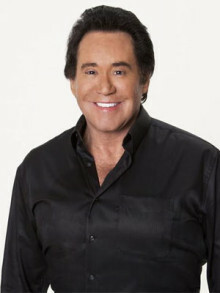 We will offer you the best price and contact the management or we directly contact Wayne Newton. For corporate appearances or speaking engagements you can contact our agents and the will help you true the process. Tags: hire Wayne Newton, Wayne Newton booking, book Wayne Newton, Wayne Newton appearances, find more information on booking Wayne Newton for appearances, Wayne Newton speaking engagements, Wayne Newton endorsements/spokesperson, Wayne Newton appearance fees, Wayne Newton booking agency contact info, biography of Wayne Newton, Contact an artist booking talent agent find a speakers bureau that can book Wayne Newton, speaker booking agency for Wayne Newton, Wayne Newton booking agency, Wayne Newton booking for corporate event. EBA is one of the biggest entertainment booking agencies in the World. We book hundreds of celebrities, artist, athletes and speakers in a year. Important to know is that we are not claiming to be the management of Wayne Newton. We are not the official agent for Wayne Newton. Companies from around the globe book these artists and speakers true our company be course we have one of the biggest networks and we always have direct contact with the artist or the management. We help you to find the right celebrities for your corporate of private events. Please contact one of our agents to get free advice and we will help to get the world-famous artist on your party.